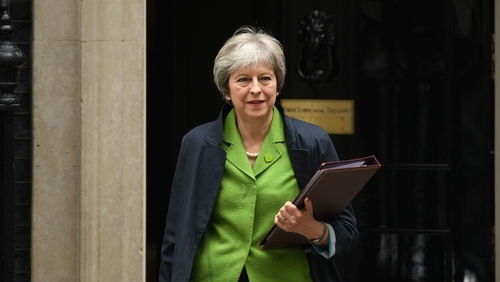 British Prime Minister Theresa May has seen off a potential defeat over her flagship Brexit bill, after last-minute concessions that could give MPs a bigger say on the final withdrawal agreement and make a "no-deal" exit much less likely. MPs voted by 324 to 298 to reject a House of Lords amendment to the EU Withdrawal Bill, which would have given MPs the power to tell Mrs May to go back and renegotiate the Brexit deal. Former attorney general Dominic Grieve withdrew his own proposals spelling out precise terms under which MPs should be given a "meaningful vote" on the eventual deal, including the power to dictate what the British government should do if no acceptable agreement is reached by February 2019. Pro-EU Tories held back from rebellion after ministers indicated they were ready to discuss changes requiring the government to seek parliamentary approval for its approach if the House of Commons rejects a deal this autumn. Mr Grieve confirmed he voted with the government after receiving assurances, telling Sky News: "I am quite satisfied we are going to get a meaningful vote." If confirmed, the move represents a dramatic climbdown from Mrs May's original plan to offer MPs a "take it or leave it" vote to accept the withdrawal agreement or leave the EU without a deal. The concession came after intensive horse-trading on the floor of the House of Commons, with chief whip Julian Smith shuttling between Tory backbenchers during debate on Lords amendments to the EU Withdrawal Bill. Around 15-20 pro-EU Tories are understood to have received assurances in a face-to-face discussion with Mrs May in her Commons office ahead of the vote. Remainer Stephen Hammond told BBC Radio 4's PM programme: "We have spoken in a room with the prime minister this afternoon, ten minutes before the first round of voting. "I absolutely trust what the prime minister says to us." Potential rebels fell into line after Solicitor General Robert Buckland said ministers were ready to "engage positively" with their concerns before the bill returns to the upper house next Monday. Mrs May is now expected to get through the latest round of crunch Brexit votes unscathed, with a potentially explosive clash over the customs union tomorrow already defused by a compromise amendment. But she faces a gruelling bout of "parliamentary ping-pong" with the House of Lords, as the bill bounces back and forth between the two houses over the coming weeks. Earlier, Mrs May was hit by the resignation of justice minister Phillip Lee, who quit the government live on stage during a speech in London in order to be able to back Mr Grieve's amendment. The Bracknell MP, who called for a second referendum on whatever deal Mrs May secures from the EU, later told the Commons there was growing evidence that the government's Brexit policy is "detrimental to the people we were elected to serve". "If, in the future, I am to look my children in the eye and honestly say that I did my best for them I cannot, in all good conscience, support how our country's current exit from the EU looks set to be delivered," said Dr Lee. In the event, Dr Lee abstained on the crucial vote, saying he was "delighted" that the government had agreed to introduce an amendment giving parliament "the voice I always wanted it to have in the Brexit process". "This justifies my decision to resign and makes it a lot less painful," said Dr Lee. "The prime minister has given her word. I trust her and so I will abstain." Ahead of the crucial votes on the EU Withdrawal Bill, Brexit Secretary David Davis warned MPs that defeat would undermine the UK's negotiating stance in Brussels. The cumulative effect of 14 Lords amendments that the government is seeking to overturn could be to "make it impossible to deliver the smooth and orderly exit we want", he warned.